Root canals are used to treat tooth infections, which can be extremely painful. The procedure itself is no more painful than a cavity filling. With advances in technology and treatment, root canals now cause only minor discomfort. This is doubly true when they’re performed by experienced dentists. 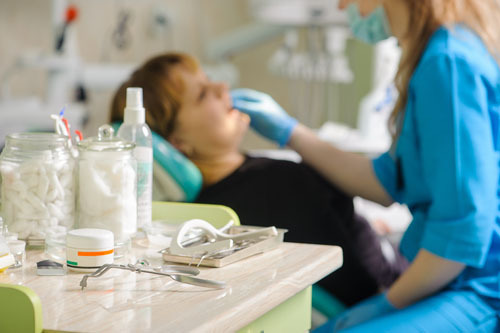 At Fischer Family Dentistry, we’ve performed thousands of root canal procedures. That means we’ve saved thousands of teeth, and helped thousands of people out of pain. Teeth consist of three different layers. There’s the hard Enamel on the outside, the hard Dentin on the inside, and the Pulp. 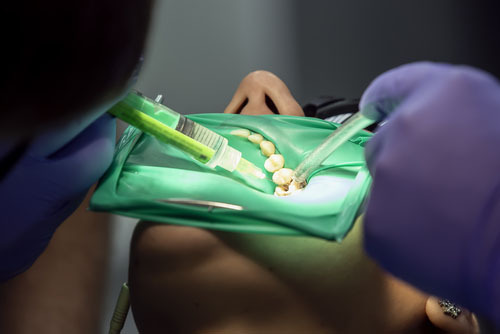 The pulp is a space inside the tooth that contains the live tissue and nerves. If it’s exposed due to cavities or injury, it can easily be infected. In a root canal, we go into the pulp space and remove any dead or infected tissue. Your mouth will be numbed to prevent any discomfort. After the bad tissue is removed, we’ll disinfect and seal the area. We’ll also apply a crown to prevent further infection and damage. The idea that root canals are painful is a myth. Don’t let outdated ideas keep you away from the dentist. You deserve to have a pain-free mouth. Make an appointment today to get to the bottom of your tooth problems. We’ll find the right treatment for you, and answer any questions that arise. If you’re dealing with an infected tooth, a root canal treatment will provide much needed relief. Don’t settle for less.